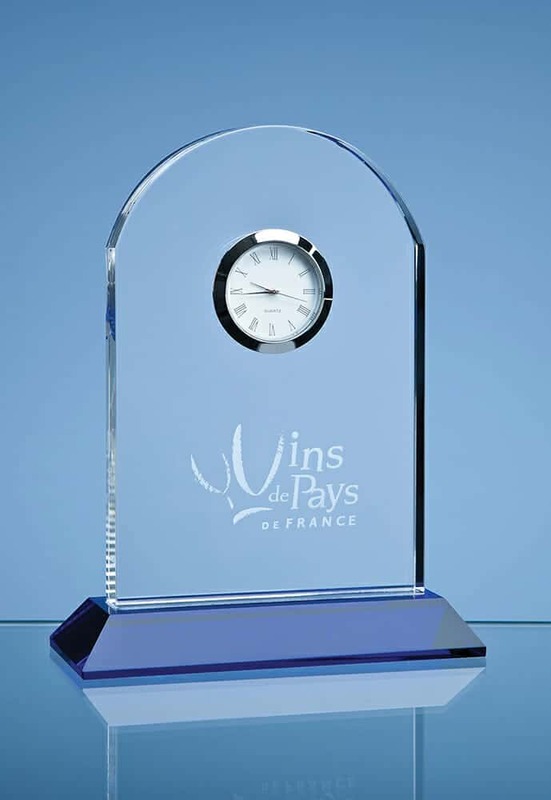 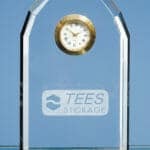 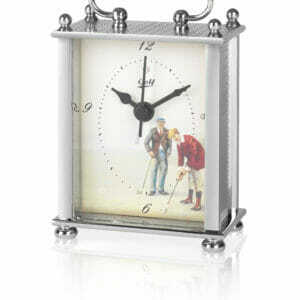 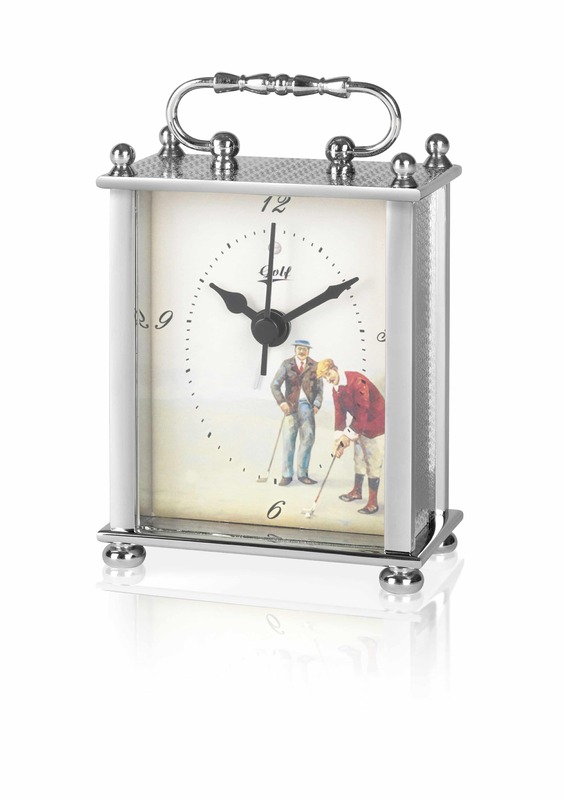 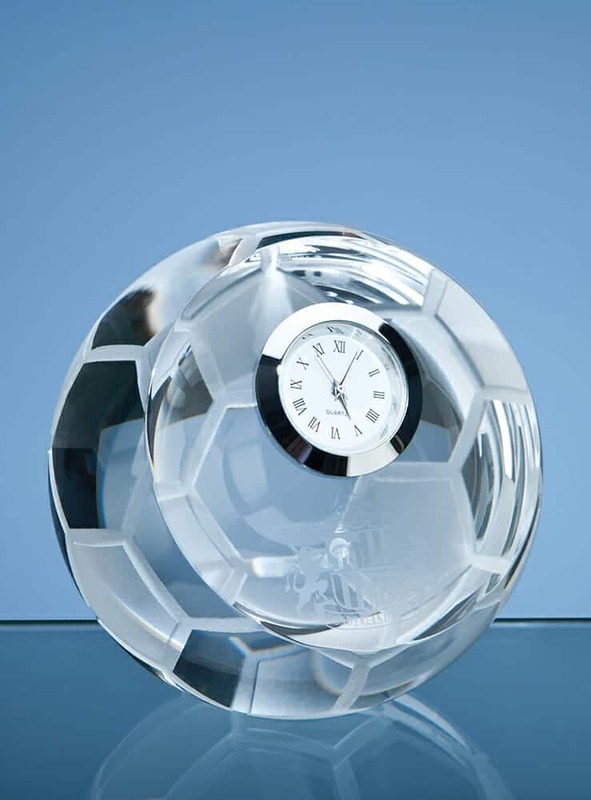 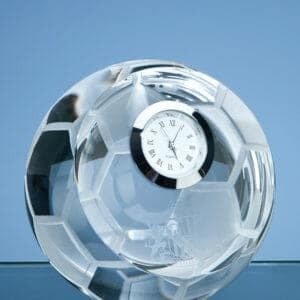 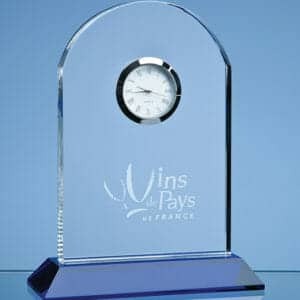 This 13cm Bevelled Arch Clock is hand crafted out of perfectly clear optical crystal. 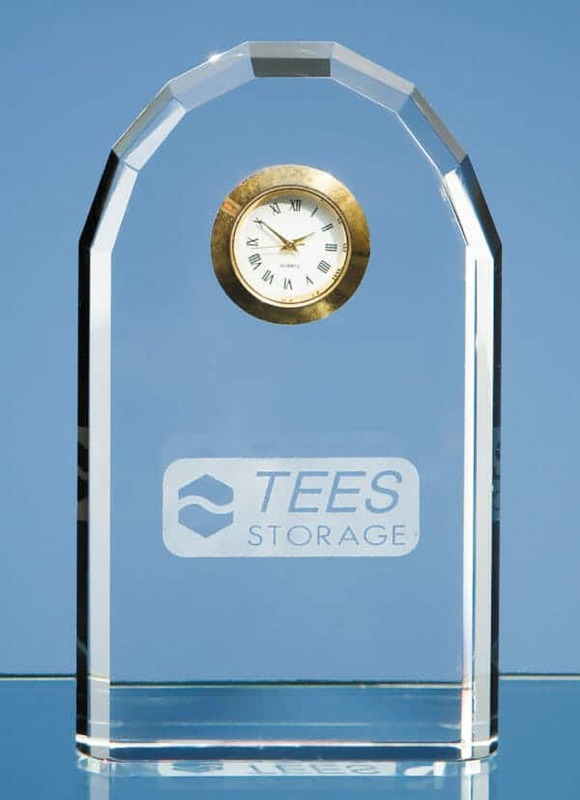 The front face of the arch can be personalised with a crest or logo and your wording to create a gift that is sure to take pride of place when put on display at home or at work. 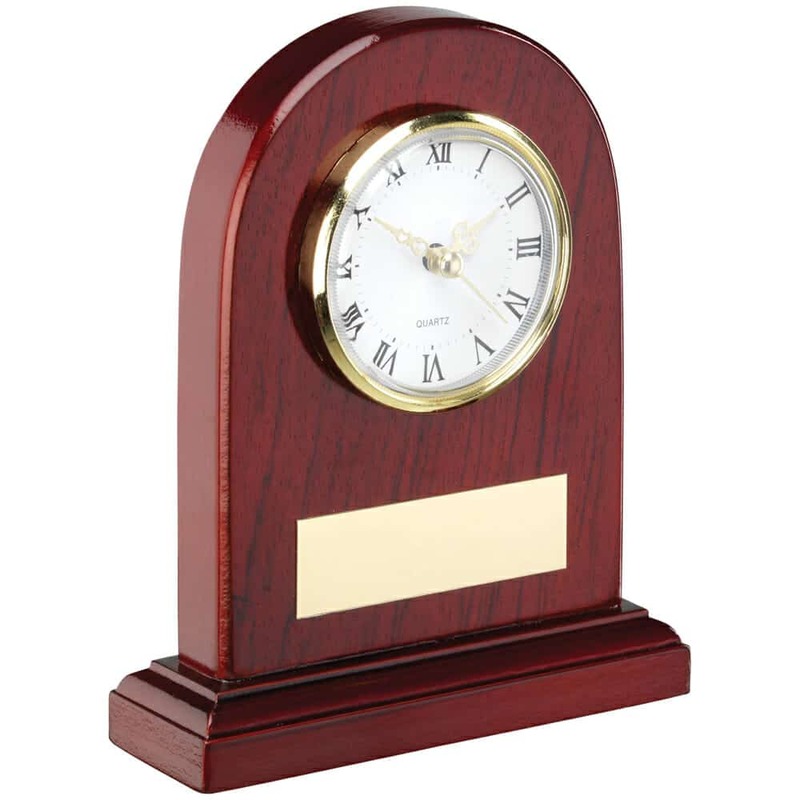 Please note that the colour of the clock face may vary on occasions.